The African National Congress is alarmed at the baseless allegations Terror Lekota levelled against President Cyril Ramaphosa. We reject these insinuations with the contempt they deserve. The ANC has full confidence in President Ramaphosa, and we do not take kindly to desperate attempts to call to question his integrity. Allegations of this nature are often made when the accuser fears exposure for his own misdeeds or runs out of political ideas. The 54th national conference elected President Ramaphosa as the ANC President, having earned his stripes as a leader of our glorious movement. A product of the South Africa Students’ Organisation, he rose through the ranks of the mass democratic movement to become the General-Secretary of the National Union of Mineworkers (NUM). 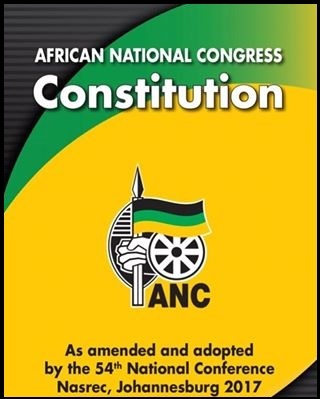 President Ramaphosa became the first Secretary-General of the ANC following its unbanning in 1990, and lead the ANC’s negotiations team that led to the 1994 breakthrough and adoption of the final Constitution in 1996. Our people have full confidence in President Ramaphosa and we are confident that notwithstanding the challenges of the recent past, the ANC will emerge victorious at the polls with President Ramaphosa as the face of its campaign. 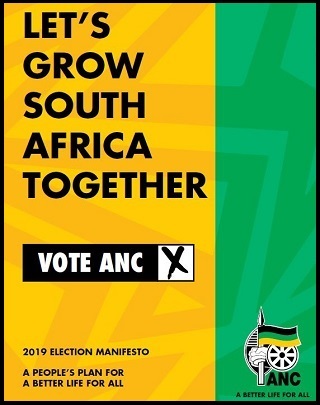 Notwithstanding the baseless allegations made by Terror Lekota, the ANC will not be deterred in galvanising the nation to embrace a future where every citizen has a stake in growing South Africa into a vibrant and prosperous nation. The ANC and it Alliance partners are inspired by President Ramaphosa’s leadership. Those who have nothing to offer to the people of South Africa will always find a way to throw stones and make attempts at denigrating his strong character. The ANC has a proud history as a liberation movement that has fought to liberate all South Africans across the racial divide, and has brought together people from different strands. 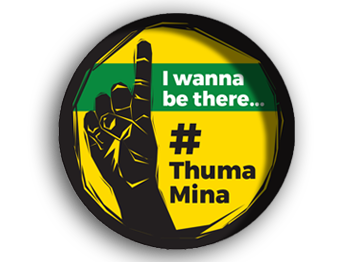 Some of these people, who were trusted comrades and rose to the highest ranks of the ANC have never hesitated to betray this legacy and trust when it suited their personal ambitions. Terror Lekota is one of those who had no qualms in betraying an organisation that shaped his politics and career over many decades for expediency. As we mobilise South African to deliver an overwhelming majority at the polls, we have learned the harsh impact on society and economy arising from loss of integrity in institutions of state and business and in political and other formations. We have learnt hard lessons and we are now confident that we have implemented the vigilance needed to stop creeping lawlessness, greed and selfishness taking root. Having learnt from both the good and bad of the past twenty-five years. Informed by our history of commitment to the people’s cause, we are resolved to make this an era of renewal and hope.